This training programme will explore the essential digital marketing tools that directors, marketing managers and school owners need to promote their schools to prospective students and intermediaries. Participants will work in groups to develop marketing action plans based on an existing template, that they can share and complete with colleagues in their own schools. The training programme will be directly relevant to each individual context as participants will be encouraged to examine their current marketing resources and tools including brochures, websites, student registration systems, questionnaires, social media and all other interactions with current, past and prospective students. The training programme will conclude with participant presentations of their marketing action plans, and discussion of options for further action and CPD in marketing and related areas. By the end of the programme, participants will have a clearer understanding of the tools available for improving their current digital marketing plans as well as having developed a strategy for its’ development. 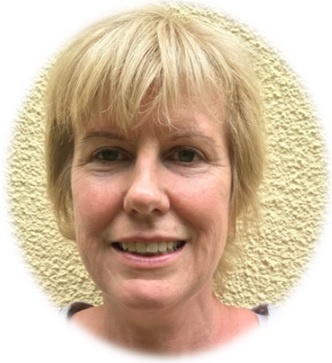 Caroline Moore has worked in ELT for over 30 years, and currently works as a consultant for language schools and publishers, helping them with their digital strategies, working on feasibility studies, product development, and marketing campaigns. Previously she worked for the British Council, where she developed its two most successful ELT websites, LearnEnglish and Teaching English, and was a member of the senior management team responsible for the British Council’s Teaching Centres in 50 countries and its exams businesses, including IELTS. In her last role, she led the teams responsible for student and exam candidate registration systems, and ELT-related marketing and PR campaigns. Caroline is an experienced conference presenter and trainer, with a long-standing interest and expertise in the use of digital technologies and education. Until recently, she was Trustee and Chair of IATEFL’s Electronic Committee, and led the team that ran its first three web conferences between 2014-2016. She is also a Trustee of the Hornby Educational Trust and helps judge the English Speaking Union English Language Awards. Caroline has a BA in English Literature and French, an MA in Second Language Learning and Teaching, and in 2010 an MBA with Distinction from Cass Business School at City University of London, for which her final dissertation explored the impact of digital technology on the ELT coursebook market.